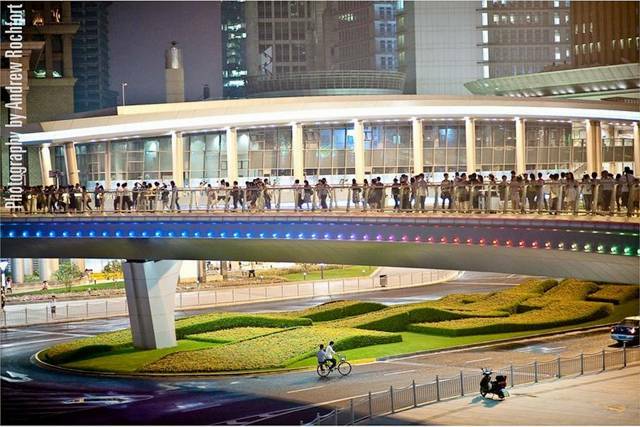 Sometime last year, a new pedestrian bridge was unveiled in Lujiazui in the Pudong district of Shanghai. 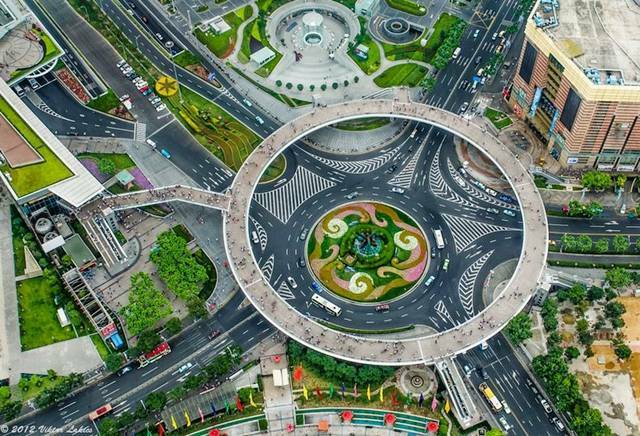 This large scale circular pedestrian overpass enables pedestrians to avoid traffic at the round-about terminus of Lujiazui Rd. 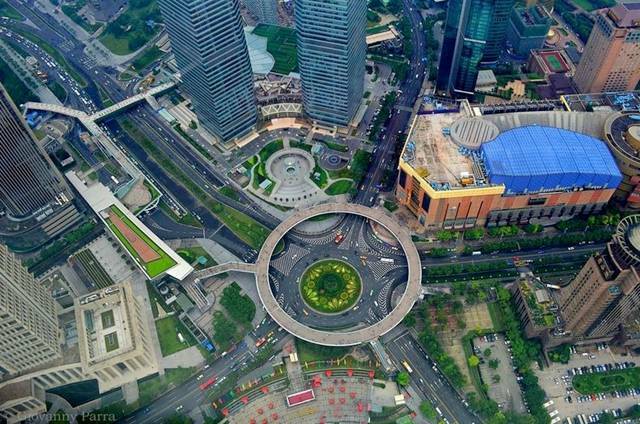 The bridge provides access to the Oriental Pearl Tower connecting financiers to leisure areas such as shopping malls and cafes, a transit station and office buildings. The bridge sits almost 20 feet above the street, with numerous escalator stairway entrances and exits. The very contemporary design and long spans between columns provides a pleasant street level experience. 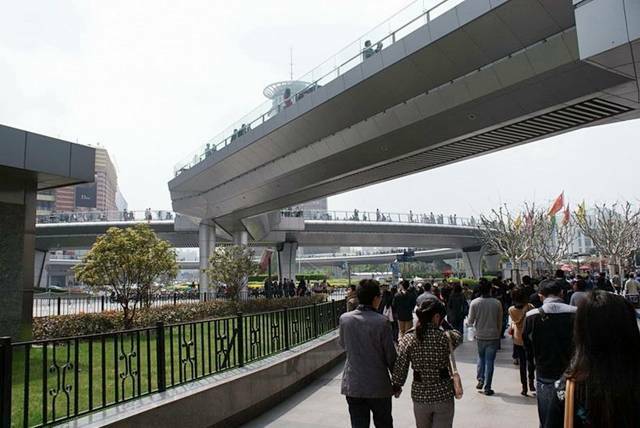 Visitors enjoy the walkway for its privileged views of the city as well as its introduction of clean and easy foot transportation. At night the structure is illuminated to great dramatic effect. 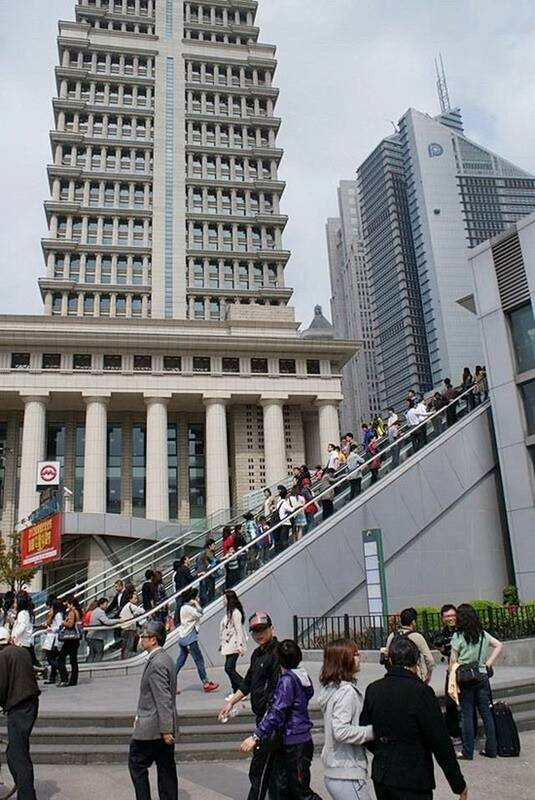 The walkaway is 5.5 meter high and can fit 15 people walking side by side. 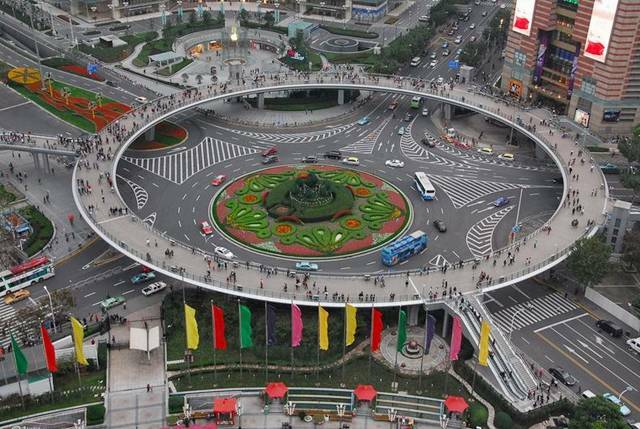 Since it’s opening, it has become quite a tourist attraction.